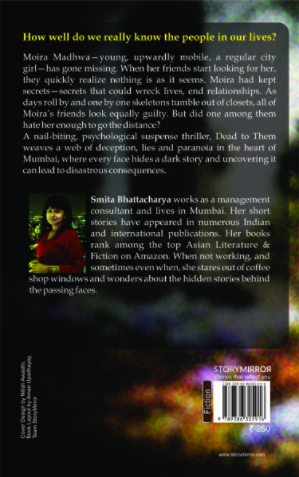 Moira Madhwa is the typical young, beautiful and successful urban woman until the day she goes missing. Her friends start looking for her, but quickly realize nothing is as it seems. Moira had kept devastating secrets - secrets that could wreck their lives if revealed. As days roll by, one by one, skeletons tumble out of closets, and each of Moira’s friends’ looks guilty. But did one among them hate her enough to do the worst? 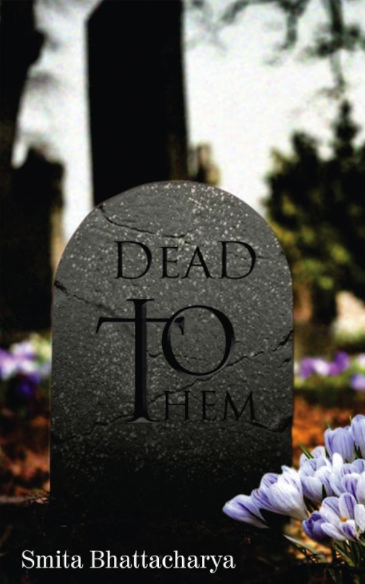 A nail-biting, psychological suspense thriller, Dead to Them weaves a web of deception, lies, and paranoia in the city of Mumbai, where every face hides a dark story and uncovering it can lead to disastrous consequences.